PD Warrior Is A Game-Changer In The Fight Against Parkinson's Disease. PD Warrior is a unique therapy approach designed to help build confidence, improve mobility and help people fight the symptoms of Parkinson's Disease. 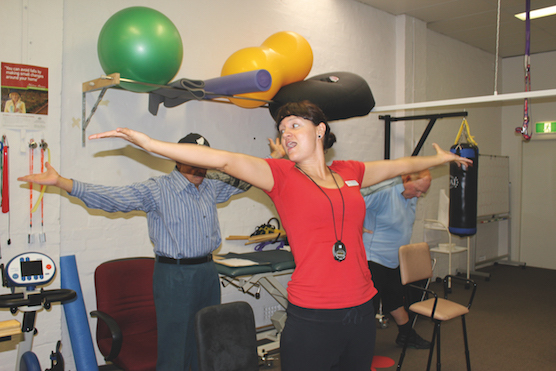 Physiotherapy treatment helps diagnosed clients maintain balance and mobility, allowing them to move with more ease and assurance. PD Warrior offers hope that there is life after diagnosis. What Is PD Warrior And How Do I Start? PD Warrior is a physiotherapy treatment for Parkinson’s Disease. The programme starts with an initial assessment session with our physiotherapist. At the next session, we start to teach the program exercises and when clients are confident with the exercises they go on to the ten-week challenge either individually or as part of a group. If they choose to do this as a group, they can join the PD Warrior circuit class which runs weekly. The weekly group exercise programme combines high effort, intensive workouts with a challenging combination of movements and mental strategy. It's loads of fun and there's lots of variety to keep people engaged. Participants connect with like-minded people who want help to fight their symptoms. Why Does PD Warrior Work? PD Warrior helps to use the brain's natural ability to protect itself and create more efficient pathways in the brain, essentially rewiring the brain. 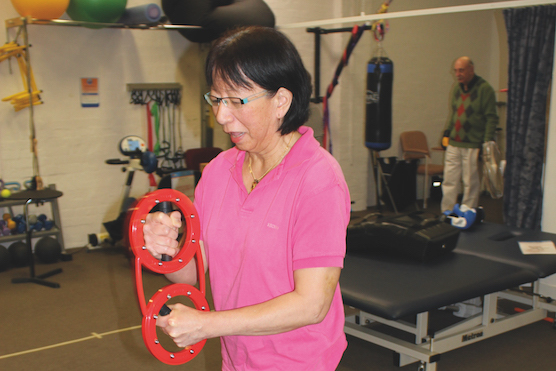 Recent evidence has shown that exercise is essential in providing a comprehensive solution for patients with Parkinson's. Therefore, for Parkinson’s Disease physiotherapy treatments can be an effective measure for fighting the symptoms of Parkinson’s. Naturally the results are different and can vary from person to person. Better results are possible by treating people early after diagnosis with intensive, big-movement exercise strategies. Results from PD Warrior show an improvement in the quality of life and self-efficacy, depression, tiredness and bodily discomfort, compared to patients who take medication alone. PD Warrior is your support network, education channel, enabler, confidence giver and motivational coach. As a rehab program, we are second to none in this space. With us, you’ll learn how to move well, believe in yourself and live better with Parkinson’s. A recent survey of PD Warriors showed that 94% of people continued exercising after the PD Warrior 10 Week Challenge had been completed and 98% of people thought that the program was worth their time. Satisfaction levels in the program are excellent, but better yet, so are the results. PD Warrior is a game changer!